Over the past several years, the customer service landscape has changed dramatically and, in many cases, for the better. A lot of those improvements are derived from advances in technology, including the use of social media. More than half of customers prefer social messaging for customer care, as opposed to the traditional phone or email exchanges. In fact, according to Sprout Social, nearly 50 percent of all consumers use social media for brand-related questions or problems. A large amount of those customer service interactions take place on Twitter, and for good reason. Twitter is the best place for businesses to focus their customer service efforts. Here’s why. Why is Twitter the best place for customer service? 6,000 tweets are sent every second, and 326 million people use Twitter on a monthly basis. That is a lot of potential consumers. According to JD Power and Associates, 67 percent of customers have reached out to a company via social media for support. Nearly everyone is on Twitter, and the average user follows at least five businesses. Spending time interacting with consumers in a place where they are already spending a significant amount of time every day makes perfect sense and can be a major benefit to businesses. One of the biggest draws of using Twitter for customer service is the ability to quickly respond to customer queries of any kind. Research by Twitter found 60 percent of users expect a reply from a business in fewer than 60 minutes. Oracle CEO Mark Hurd noted that consumers expect immediate gratification and will even make buying decisions based on whether or not they get prompt responses. Customers no longer have the time to be on hold for hours or wait days for a support email. Twitter and the monitoring tools created for it allow brands to be notified as soon as they’re mentioned so they can react fast, respond to the consumer and resolve any issues as quickly as possible. Twitter is a platform built for conversation. Although a professional tone may be best in an email setting, Twitter is much more informal and, in turn, so are the interactions between brands and consumers. Brands have the ability to be human on Twitter, and tweets include the user’s and the representative’s names in a conversational tone. Twitter gives businesses the ability to show customers the personality behind the business front. According to Twitter’s data, customers are 20 percent more likely to reach a resolution and 76 percent of consumers are likely to recommend a business if they’ve had a friendly, personalized interaction. Every interaction between a business and consumers on Twitter is open for the world to see. And that is a good thing. That level of transparency can work in a business’s favor if customer queries are handled correctly. It’s a great way for customers and their followers to get a glimpse of a business’s character in a real-life conversation. When a business resolves a customer complaint quickly and is friendly throughout the interaction, the Twitterverse takes notice. Users are actually 31 percent more likely to remember things seen on Twitter than to remember content from general online browsing. They get a look into the values and customer service standards of a company, and they can see if a business has an effective and positive support team. It costs six times less to handle customer service via social media than through traditional call centers. So, not only is Twitter faster and less frustrating than the alternatives, it’s also much cheaper. Additionally, customers who get a response from a company’s Twitter account are willing to spend 20 percent more on an average-priced item from that same business, even if they were originally Tweeting a complaint. In fact, 69 percent of people who Tweeted negatively ended up feeling favorable toward a business when their concerns were addressed on Twitter. How can businesses get it right? Social networks offer a great opportunity to connect with customers. Having a branded Twitter handle is great for offering promotions, deals or tweeting funny GIFs for customers to enjoy. However, when it comes to customer service, having a designated support handle is the best way to ensure customer service complaints or issues don’t get lost in the shuffle. Whether a customer is reaching out to offer congratulations on a job well done or broadcast a poor experience, each inquiry deserves a response. Twitter is a great place to show people how easy interactions can be with an organization, regardless of whether they are positive or negative. For queries that require sensitive information, send a response and request further information via direct message. Tweets should be as personal as possible. Customers want to feel like they’re interacting with a real person. Signing each Tweet with the customer service agent’s name or initials can help personalize each experience and allow consumers the ability to reference who they spoke to and when. One of the most important aspects of using Twitter for customer service is the ability to monitor every mention, whether the tweet is directed at an organization or not. 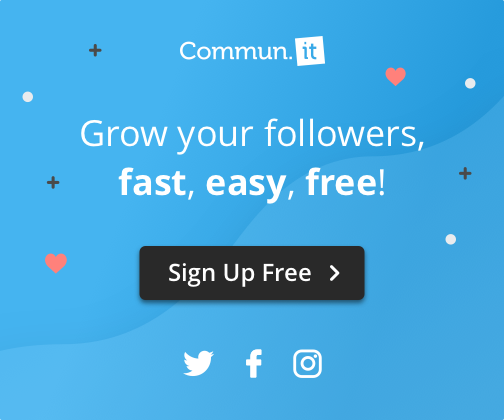 The Commun.it dashboard helps companies organize their mentions so customer service representatives can address each one as soon as possible. Programs like this can also gather common issues and provide companies with actionable insights for fixing potential problems. Twitter is the perfect platform for customer support. It’s faster, cheaper and more personal, and it gives businesses the ability to show their true colors to the entire Twitterverse. Consumers don’t want to deal with the complicated, drawn-out processes of customer service phone calls or emails. Instead, they’re turning to Twitter for quick and seamless communication with brands.